SHREE Shivam, one of the mega showrooms of Central India has been decked up for the marriage season. 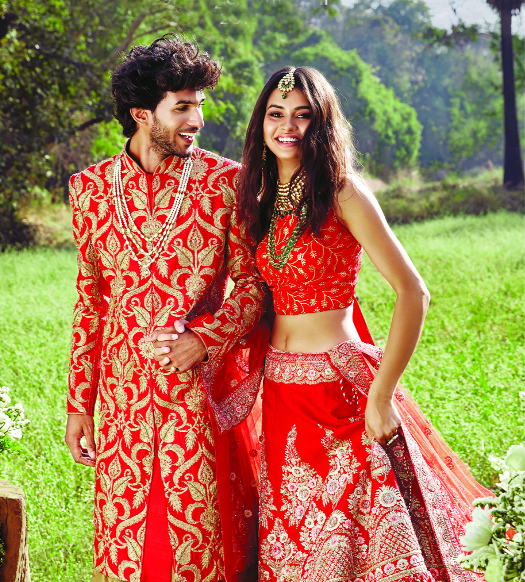 Shree Shivam has brought the complete and unique range in new designer collection. The showroom offers fashion and traditional wear. Pre-wedding launch 2019 started from March 29 and will continue till April 9. Pre-wedding launch is an iconic event of Shree Shivam in which 20 designers from all over the country are showcasing their designs collection. Apart from the dress of bride and groom theme clothing for the whole family is also taken care. The showroom has separate appointment rooms for bride, grooms and family members. The showroom is showcasing ghagra, chunni, Indo-Western, evening gown, matching Sherwani, coat suit, Angarkha etc. All the items can be customised according to the size. Along with ethenics, their is a wide range available for the Western lovers also. The launch is updating the customers about the trends and fashion. Shree Shivam is located at Fortune Mall, Munje Chowk, Sitabuldi.